Ever since the beginning of this century, a brand-new genre of working professionals – who prefer to work as a freelancer in India – appears to have surfaced out of nowhere. You can find professionals, such as mechanics, repair engineers, home décor experts, architects, interior decorators, teachers, models, actors, writers, software developers, medical professionals – specifically nurses, cleaning and maintenance guys, chefs, speakers or orators, etc. on a freelance basis. They aren’t technically associated with any organization or firm, however, they can be part of a group of professionals providing an array of services to businesses as well as individuals. Frankly speaking – India, which has highly educated and civically uneducated herds at the same time, is not really a very friendly place to work. If we talk about the experience of working in India, nerve-racking 9 hour shift that too 6-days a week, with hideous targets and harsh managers and owners are the summary of about 80 percent offices in India. In addition, even if you have leave balance in your account, you can take it because your manager will be displeased with it. Freedom is not actually a thing in the mindset of Indian offices. While on the other hand, freelancing in India, or anywhere in the world, comes with this perk. You have the freedom to work wherever you want, wherever you want, and howsoever you want. When you are getting handsome cash, (or fund transfer) for what you are working, everyday or weekly, it indeed is like a great self-motivation. In India, salary of professionals is deeply demoralizing. Freelancing here comes to rescue. It offers good and quick money in your hand. 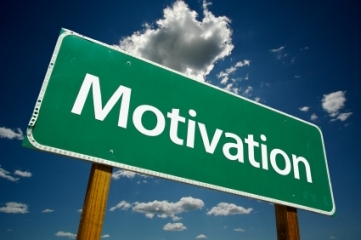 And what else do you need for motivation? You can add more skills to your portfolio, while working as a freelancer. Punching in for a 9-hour shift on a regular basis will not actually give you such a chance Freelancers can manage to take plenty of time for learning new technologies and skills. It will eventually add to your earnings and broaden the scope for you. Career freelancer in India, freelancing in India, Why freelancing in India. permalink.